I get the message: "Robot is disabled" in my cloudberry backup plan installed on a windows Server. How can i resolve it?. I attach a log capture. You seem to have multiple failures. This issue will be more easily handled by Support. 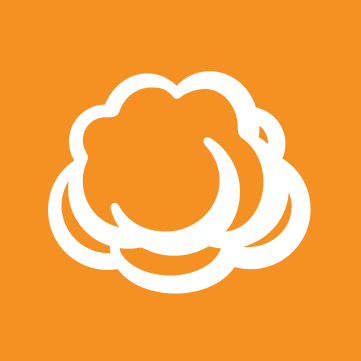 Please use the Tools | Diagnostic toolbar option to send your logs to the CloudBerry Support Team for analysis. Thanks! Do you use Google Cloud to run your backups? This error message is usually provided by that provider when an account is disabled. Yes, i am using a Google cloud storage bucket. In that case the first thing to check is the availability of your storage account and the bucket. If everything looks correct on Google's side try running the plan a little bit later and send the logs to us if the issue persists. 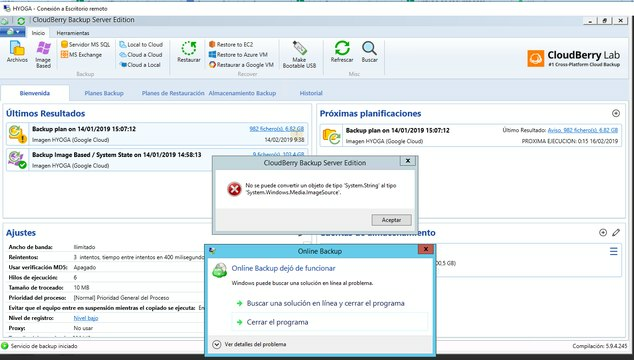 I changed the service account and again i ran the plan backup but i get the error in the image attached. That's GUI problem, will be fixed in version 6.1. Happens randomly, so it shouldn't reoccur on the same spot.